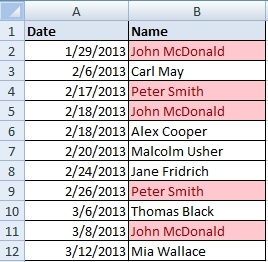 I think the best way to find duplicate records is using Conditional Formatting and Filter. It’s easy, simple and fast. 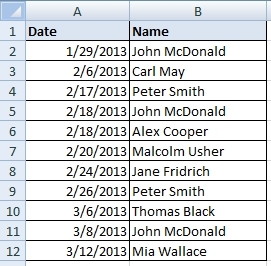 The following table contains some duplication in column “Name”. We want to find the people who are there more than once and show rows where it is. Choose the cell formatting and look at the colored cells in the table. 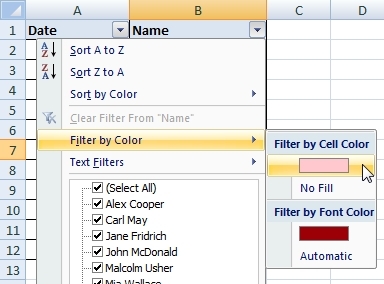 In Excel is possible to filter row by the cell color or by the font color. Insert Filter into the table. On the column “Name” choose Filter by Color >> color. Now you see only the duplicate values. You can sort the table for better orientation in records. 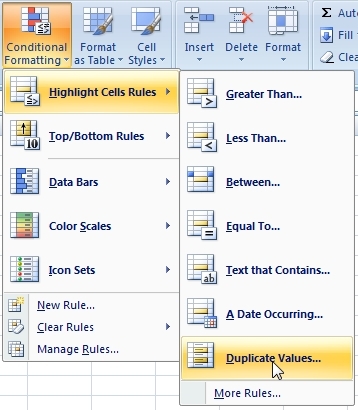 How to delete duplicates in Excel?